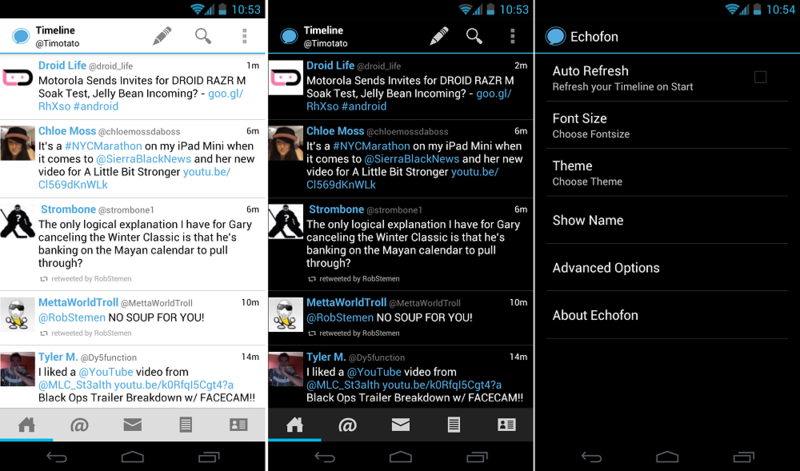 An app we have covered in the past which we enjoyed, Echofon, a 3rd party Twitter client that was launched in mid-October, has been updated to version 2.0. 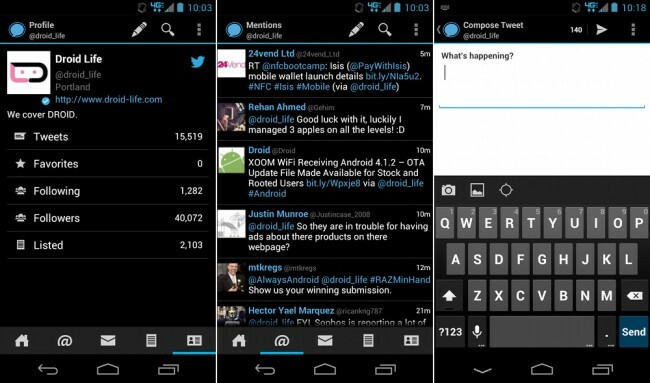 Dropping the alpha title and picking up the cleaner sounding “beta” tag, the update has some great improvements such as multi-account support, direct replies to direct messages from the notification bar (Jelly Bean devices only), and improved desktop sync. If you want to give the new version a test drive which we would recommend, a download link is below.